Faster than a speeding bullet… More powerful than a locomotive… Able to leap tall buildings in a single bound… Yes, it's Superman, strange visitor from another planet who came to earth with powers and abilities far beyond those of mortal men. Of course, we all know the famous introduction and mythical backstory of Superman. The superhero is an American icon. But the character was not always such a sure bet for entertainment success. In the early 1940s, a cartoon Superman hit movie screens in animated shorts. At the end of the decade, Superman was live-action, in the form of two film serials. 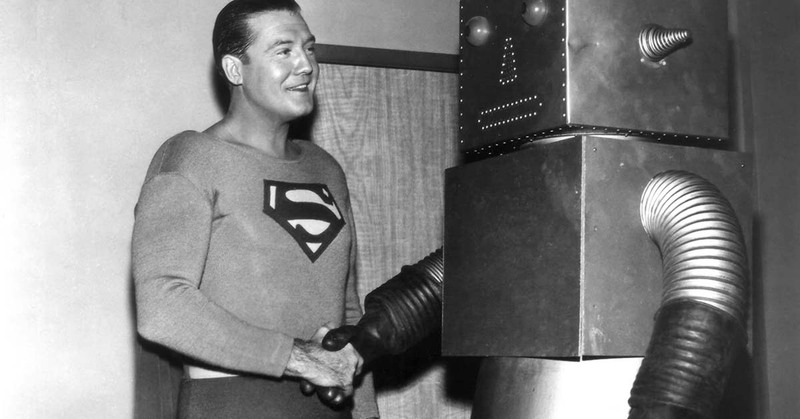 In 1951, the Superman radio serial was ending its 11-year run when B-movie producer Robert L. Lippert released a low-budget Superman film starring George Reeves. In the fall of 1951, a television series went into production. Yet, production stopped shortly thereafter and the product sat in a can for a year. When the syndicated Adventures of Superman premiered in 1952, its success surprised the cast, especially 38-year-old star George Reeves. If not for the star's tragic death in 1959, we might have gotten more than six seasons. Here are some things you might not know about Supes' first television series. It began with the first feature film made about Superman. 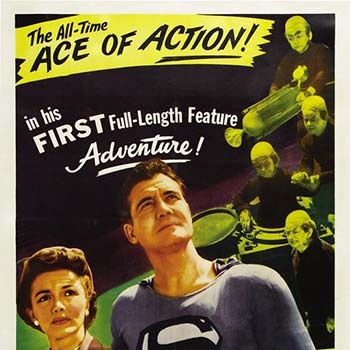 Superman and the Mole Men was a mere hour, but it still counts as the superhero's silver screen feature debut. The film, which has a plot akin to the first story arc of the Fantastic Four comic, was chopped in half and repurposed as a two-parter in season one of the TV show, "The Unknown People." 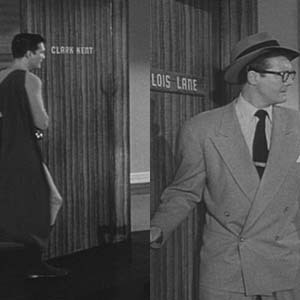 They used the same office set for both Clark and Lois. The production was low-low-budget. Actors wore the same outfits in every episode, as Daily Planet scenes were shot in bulk, out of sequence. The sets were repurposed as well. If you pay close attention, you will see that Clark and Lois have the same office, with some minor changes in decoration and name plate. The cast did cereal commercials, except Noel Neill as they thought it was too suggestive to have Lois and Clark eating breakfast together. 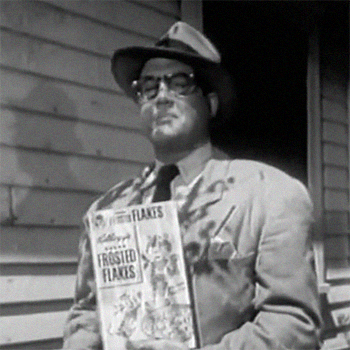 The series might never have aired if Kellogg's had not stepped in as a sponsor in 1952. The characters from the show appeared in commercials for cereal that aired along with the episode — though, oddly, never Superman. Lois Lane was also absent from the corn flake promotions, as it was deemed too sexually charged to suggest that Clark and Lois would eat a morning meal together. It was the 1950s, after all. 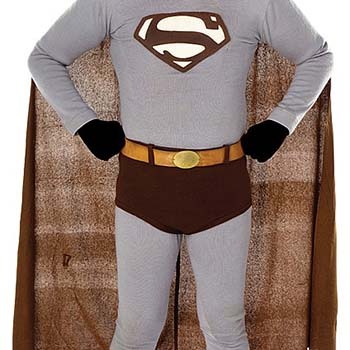 George Reeves' original Superman costume was brown, gray and white. 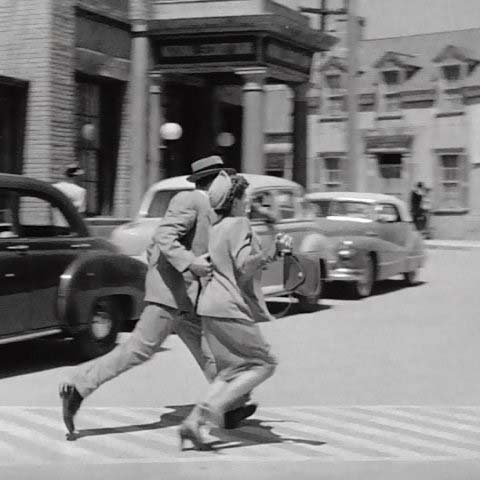 In order to get the proper tones in the monochromatic broadcasts, Reeves wore this drab version of the familiar costume, much in the way that the police cars on Car 54 were red. In season one, the Metropolis set was Mayberry. The first season was shot at RKO-Pathe Studios (which would become Desilu's studio) and on the RKO Pictures "Forty Acres" backlot. The latter is widely familiar as the quaint downtown of Mayberry. Go figure that small town North Carolina could double for bustling Metropolis. Years later, Star Trek would visit Mayberry, too. It was number one in Japan and the favorite TV show of Emperor Hirohito. Hirohito himself wrote Reeves to proclaim Adventures of Superman his favorite. Seasons three through six were filmed in color, but not broadcast in color for a decade. Though the episodes were filmed in bright color, they were broadcast in black & white from 1955 to 1958. It was not until reruns aired in 1965 that audiences saw those tights in bright blue. Perry White's painting magically goes from black & white to color. 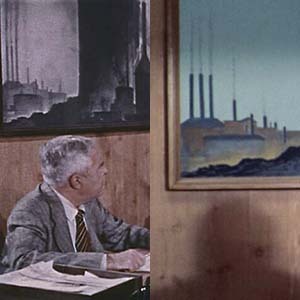 Speaking of leaps into color, the painting in the Daily Planet editor's office took a subtle leap from grayscale to ROYGBIV. After children hurt themselves trying to fly like Superman, Reeves warned kids on air that flying is impossible. Merchandising of Superman products was off the charts in the 1950s, with few tie-ins more popular than the costume cape. However, children were tragically putting on the cape and leaping off houses thinking it would make them fly. According to the book Superman: The High-flying History of America's Most Enduring Hero, a concerned Reeves pleaded to have the capes taken off the market. In 1955, he gave a public service announcement in a video reminding children, "No one, but no one, can do the things Superman does. And that goes especially for flying!" 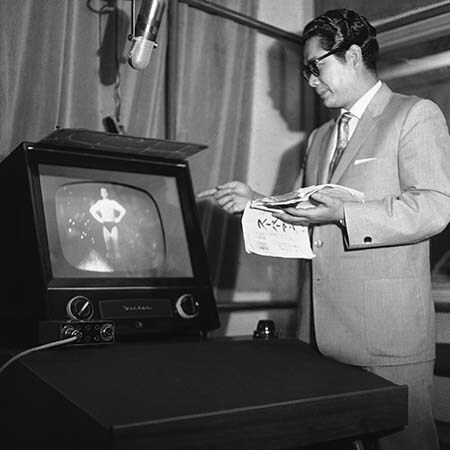 The man who narrated the opening of the show appears as an announcer in two episodes. 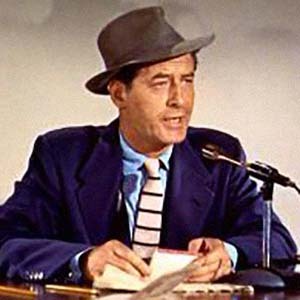 Radio veteran Bill Kennedy was also a contracted actor with Warner Bros. He's the one who sets Ingrid Bergman on fire in Joan of Arc. The "more powerful than a locomotive!" proclaimer also shows his face in a couple Superman episodes, most notably "Joey," in which he plays a racetrack announcer. Before he was the Rifleman, Chuck Connors was Sylvester J. Superman. 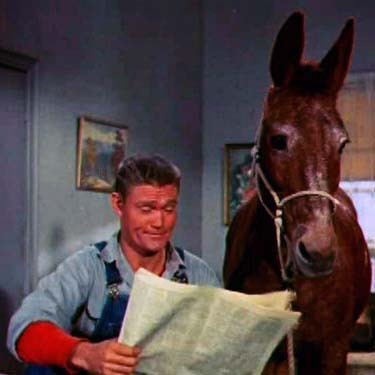 The former athlete earned one of his early acting credits in "Flight to the North," in which he plays a hillbilly with an easy-to-confuse last name and a pet mule named Lilybelle. 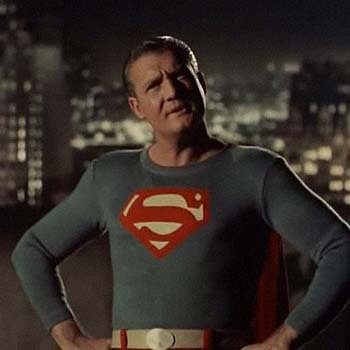 Producers tried to continue the series even after George Reeves death. Reeves died from a gunshot wound to the head in 1959. 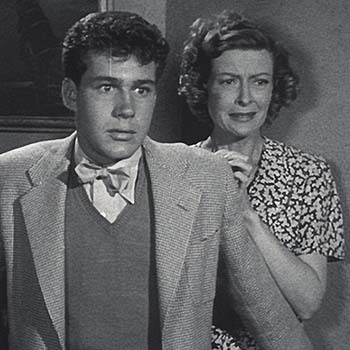 In a rather macabre move, it was suggested to costar Jack Larson that he carry the torch and continue the adventures in Superman's Pal, Jimmy Olsen, which would use stock footage and look-alikes of Reeves. Larson wisely nixed that idea immediately. A spin-off pilot was filmed in 1961. There was another attempt to keep Metropolis on television screens. In 1961, a pilot was produced for Adventures of Superboy with Johnny Rockwell as our hero and Bunny Henning and Lana Lang. Though multiple episodes were scripted, the series was not picked up. Noel Neill has a cameo in the 1978 'Superman' movie. 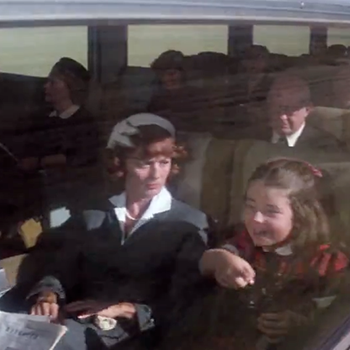 The former Lois Lane can be spotting playing the mother of young Lois Lane on the train that Clark Kent outruns. Playing the elder father? 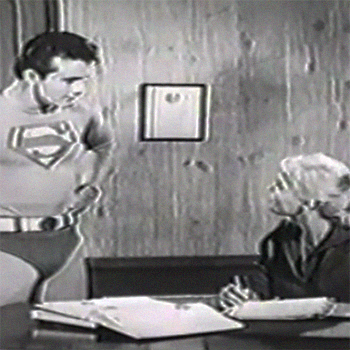 Kirk Alyn, the first-ever onscreen Superman from the film serials. In 2006's Superman Returns, Neill flipped to the other side and played Lex Luthor's wife!